Last weekend, I did something very out of character: I booked a trip less than a week in advance to a place I'd never heard of, and went. Alone. As someone with anxiety, traveling in and of itself is not easy—just a week prior to this trip I had a full-on meltdown in the London Gatwick airport, and I wasn't even traveling alone. 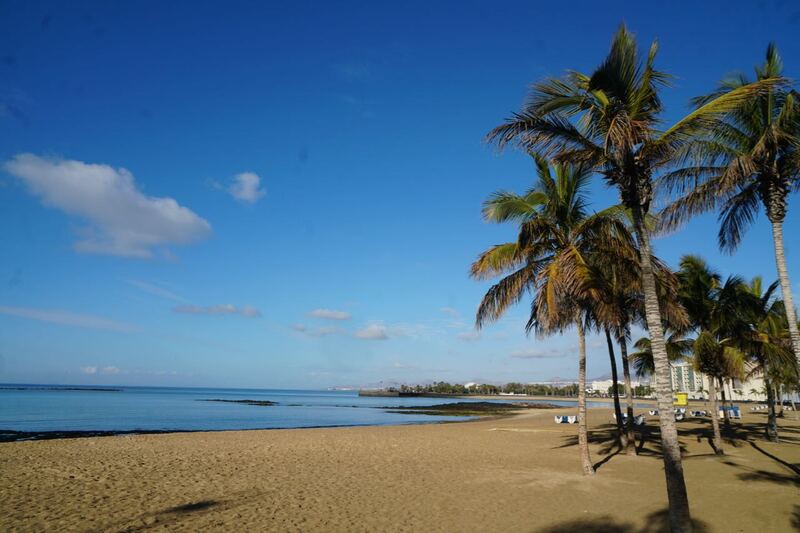 So how did this anxious traveler end up in the Canary Islands alone? Well, I saw in my calendar that I had a free few days between exams, so I decided to check Skyscanner for flights. I selected the dates and Amsterdam as the point of origin, and clicked "Everywhere" as the destination, hoping to find cheap flights to somewhere I could visit a fellow friend studying abroad. Instead, the first flight to pop up was Arrecife, the capital of Lanzarote. The round-trip flight was only 80 euro, a price I couldn't validate not taking advantage of. Without a second thought, I booked it. I hurried over to Booking.com to find a hotel, since my usual choice, Air BnB, didn't seem like the best choice for a solo trip. I found a reasonably priced hotel across the street from the beach and booked that too. Ten minutes after casually perusing Skyscanner, I had booked a three-day trip to the Canary Islands. In retrospect, I am so grateful for my random burst of impulsivity. Having the opportunity to travel my byself to a beautiful Spainish island off the coast of Africa was an experience I'm sure I won't have again. I pushed the boundaries I'd built as a result of my anxiety, and although there were moments of panic and uncertainty, the trip itself was completely magical. I went on a day-long tour with 20 German couples (also a very strange, cool experience) where I saw volcanoes, insane panoramic views, and an underground lagoon. I ate delicious food, met interesting people, and spent some quality time with myself. Leaving this beautiful island ended up being far harder than any other part of the trip.